But the true story of the Galileo inquisition is considerably more complex and multi faceted. The Galileo Inquisition in a Nutshell. Galileo expressed scientific views supporting Copernicus, and also his related biblical views, in a 1615 letter to the Grand Duchess of Tuscany. Although it was a private letter never intended for publication, the references to Scripture contained in it were focused upon, and became the basis of his first examination, trial and censure. This was the first of two trials of the Galileo inquisition. As a result of this censure he promised, under pain of further punishment, to not hold or publish Copernican theory as scientific fact, but only as unproven theory or hypothesis. As a matter of pure science, at that time, the theory was indeed unproven, by Galileo or by anyone, and was very much up in the air. Not only were the two competing theories under hot debate in scientific circles, but the timing of events was crucial to the importance given the whole matter by the Church. The Reformation was introducing all sorts of new “revelations” born of non-authoritative group and even individual new interpretations of Scripture. In the midst of identifying and challenging new and heretical Scripture interpretations, along comes the Galileo inquisition and an apparent Scriptural re-interpretation by a layman, who was also challenging the established science of the day. Then, in 1632, Galileo published a major work in which he violated his 1615 agreement to not hold or teach Copernican theory as actual fact. That is what resulted in Galileo's conviction on suspicion of heresy resulting in a lifetime house arrest. The issue at hand, and for which he was ultimately sentenced was not Galileo’s science; it was the violation of his earlier agreement. The Galileo inquisition (actually it was inquisitions) provides some important lessons applicable both to the Church and to science today. The Science involved in the Galileo inquisition. We need to remember that, at the time of the Galileo inquisition, the whole world was of one mind regarding the nature of the universe, and that was the ancient Ptolemic earth-centered view. Aristotle (384-322 B.C.) taught that the universe was fixed, finite and spherical, with a fixed and stationary earth at its center. Enclosing the whole sphere of the universe is the larger sphere of Prime Motion, turned by the First Unmoved Mover. Between the inner sphere and the outer sphere were the multiple transparent spheres containing fixed and unchanging stars, planets, moon and sun. Aristotle was, primarily, a renowned philosopher. The difficulty posed by this philosophical trend, at the time of the Galileo inquisition, was that the Church gave equal value to large-T Tradition and to Scripture. But it was getting more and more difficult to differentiate between large-T tradition and small-t tradition. The Renaissance Period (1300-1600 A.D.) experienced a rebirth and reinforcement of Greek-Aristotelian philosophy and science, which was already deeply embedded in Roman Catholic philosophy and small-t tradition. The most serious scientific error of the day, probably, was general acceptance of an earth-centered cosmos. Even the newer and expanding Renaissance thought placed man at the center of the universe. Nicholas Copernicus (1473-1543 A.D.), a Renaissance man, developed a new cosmology, with the sun at the center, the earth rotating about a polar axis, and the earth and planets circling the sun,. Enter Galileo Galilei (1564-1642 A.D.), another Renaissance man. He was at first dedicated to physics, but turned to astronomy after he built his first telescope. Then, he turned to astronomy, and his discoveries shocked the Aristotelian scientific world. He observed the rugged features on the surface of the moon, and he observed the motion of four of Jupiter's moons, and contemporary scientists could no longer say that all heavenly bodies revolve exclusively around the earth. He even observed the phases of Venus, perhaps most shocking of all at the time. The only reasonable explanation for Venus having phases, like the moon, was if Venus orbited the sun rather than the earth. It appears that Galileo’s temperament made of him more of a grunt than a diplomat; he seems to have enjoyed a good fight, and the more he was pressed, the more belligerent he would become. Responses to his discoveries seemed to be extreme, one way or another. He enjoyed some quite enthusiastic support, but he also experienced vehement and even hostile opposition. He defended his theory with passion and attacked foes with dominating, forceful and even insulting sarcasm, which began to make him some serious and vengeful enemies, in science, in academia and in the Church. He loved debate. He might have spent as much time arguing as doing science. His enemies charged that he was ramming Copernicus down the throat of Christianity. The Greek-Aristotelian science that was so intertwined with Church thinking was definitely going out of style, but Galileo was pushing so hard as to not allow time or space or wiggle-room for the Church or the larger culture, which needed to more slowly digest, understand and adapt. The Church, especially, recognized no significant dividing lines between theology and science; it was all philosophy, or the quest for ultimate truth. And so, for some, if Aristotelian thought was wrong, then that might make Christianity wrong, which was unthinkable. Add to this the building list of “forbidden literature” born of Martin Luther’s (1483-1546 A.D.) renunciation of Church authority and new Scripture interpretations, among the many others, all born of the Reformation. The Church forbade Catholics access to this heretical literature, which included any and all literature challenging orthodox Scripture interpretation. The Galileo Inquisition reads Galileo’s Letter. 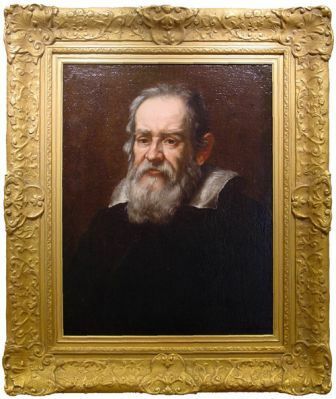 “Concerning the Use of Biblical Quotations in Matters of Science” was the title of the famous 1615 letter from Galileo to Madame Christina of Lorraine, the Grand Duchess of Tuscany. The Galileo inquisition used this letter in his first trial to turn the matter from science to another (heretical?) Scripture interpretation by a layman, in an era of rampant lay re-interpretation of Scripture. In my opinion, if Galileo had never mentioned or written about Scripture interpretations, he probably would have eventually won his scientific argument after a long and costly but predominantly secular period of argument and proof. After all, he was correct. Nevertheless, he did indeed mention and write about Scripture interpretation, in a time when Church authority was being publicly challenged on it, and we see what the result of that was. The Galileo inquisition directed him to relinquish holding Copernican theory as fact and to abstain from teaching or defending Copernicanism as doctrine or true, or even to discuss it as such. Galileo obediently renounced Copernicanism and agreed to teach it no more. In March 1616 there followed a decree of the Congregation of the Index prohibiting various “heretical” works, and to which were added any works advocating the Copernican system; it contained no mention of Galileo or of any of his works. Then, in 1632, Galileo published a new major work that brought the whole issue and all the associated animosities up again. In this work was a dialogue between a Ptolemist and two Copernicans, in which the Copernicans devastate the Ptolemist arguments and prove the case for Copernican theory. Of course, being in violation of his 1615 agreement with Rome, it was taken by the Church to be an open public challenge of their authority. Again he was made to appear in Rome to explain himself. There is a point of contention here that I cannot prove one way or the other. Galileo’s defense was that he had never held the Copernican theory to be true, and therefore didn’t believe he had violated his signed agreement. But when the signed agreement was produced, it seemed to be much longer and contain more detail than remembered, and it was clear that he had indeed violated it’s terms with his new work. Some contend that the signed letter produced at the Galileo inquisition was a forgery, done by an enemy holding a high office in Rome, probably a cardinal. Others contend that this is false, and the letter is the original one from the original investigating inquisition. I don’t know how to prove this one way or the other; however, Galileo had indeed made a lot of vengeful enemies, and so an elaborate forgery is not out of the question in my mind. At any rate, the signed letter produced at this second inquisition went considerably farther than prohibiting holding the theory to be true, and prohibited holding it at all. Galileo was a very brilliant man; whatever else he was, he most certainly was not stupid. I tend to believe that he was probably the victim of a vengeful forger. As an interesting side note, both Luther and Calvin publicly condemned Galileo outright as a heretic, and would have had him burned at the stake if they could have gotten their hands on him. Galileo was never tortured. He was never really imprisoned, in the normal sense of the term. While in Rome he was maintained in comfortable chambers with servants, and he spent the rest of his life under “house arrest” in his own home. He was condemned as “vehemently suspected of heresy” and sentenced to incarceration at the pleasure of the tribunal, and to recite the Seven Penitential Psalms once a week for three years. He remained a prisoner in his own home until his death in 1642; the same year Newton was born. He was blind for the last five years of his life, and in declining health. The Galileo inquisition was and is popularly portrayed as part of the mythical ”The Inquisition” involving torture and basic unfairness and unlimited power of investigators and the Church. There is a popular Goya illustration of Galileo bound with arms stretched out, hunched over with rocks piled on him, titled “For Having Discovered the Movement of the Earth.” Of course, that little falsehood goes right along with all the rest of the dark scientistic fiction regarding the Church. In those days, if you argued a new scientific theory, you would get the Church’s attention, because so many high-ranking churchmen were also men of science. But you would be arguing more or less on equal footing. But, in those days, if you argued a new Scripture interpretation, you immediately got the whole Church on it’s feet and antagonistic, and you would not be arguing more or less on equal footing. The Church jealously guards the sole right to interpret Scripture and Tradition for the universal Church, and was super-sensitive to that responsibility in those troubled times of various new Protestant heresies. The Galileo inquisition has made the Church, however slowly, to take a much closer look at science, and the doing of good science. However, the so-called Enlightenment has made much of modern science into scientism – a dogmatic belief system, pure and simple. Their only defense of macro evolution – meaning between species – is that it’s the only explanation they have, and they have no better one. That’s it. Complete lack of any empirical evidence for it, or even any observation supporting the theory is not seen as evidence against it. Therefore, what they do is not science. The Galileo Inquisition was a whole lot more scientific than that. What you left out is more important than all you said here. The Catholic Church believed that the earth was flat and never changed that teaching. The Catholic Church opposed science before, during and after the trial of Galileo. I beg your pardon; the Catholic Church never taught any such thing. The shape of the earth had nothing whatsoever to do with the Galileo argument. That’s not what the hot scientific debate of the time was about at all; it looks like you’ve missed the whole point of the controversy. Perhaps you should go back and re-study the history of it. The shape of the earth had been settled long before Galileo’s day. No one in that era believed that the earth was flat. Everyone knew it was spherical, and that includes Catholic clerics who were also scientists. I challenge you to produce any historical evidence of the Catholic Church opposing science, before, during or after the trial of Galileo. Astronomy was once called the "Jesuit Science" and several moon craters are named after Jesuits. Louis Pasteur, Marconi, Gregor Mendel, were devout men. A Belgian priest discovered the Big Bang. Science developed in the Christian West, not the pagan or Islamic East. Read the late Fr. Stanley Jaki to see how belief in Christ as Son of God (instead of the universe being a divine emanation) was the great impetus to scientific discovery. "As a matter of pure science, at that time, the theory was indeed unproven, by Galileo or by anyone, and was very much up in the air." Basically true in 1615 but not in 1632. In 1619 Kepler published his calculations. These showed that the observations of Tycho Brahe were better explained by a model where the orbit of a planet is an ellipse with Sun as one focus than by a model of circular orbits around either Earth or Sun.